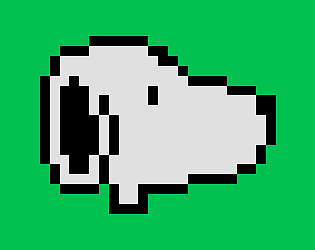 Version v1.1 is the LowRes Jam version and you should vote after that version. Its was submitted 5 days before deadline. Version v1.2 is a updated fixed version. its still have 25 screens and the gameplay is not changed, but im tweeked on 2 screens, possible to start on any day screen (night screens is still required to complete all day screens), and you now have 5 lives instead of 3. Nice old school, with small palette as well resolution...cute game! 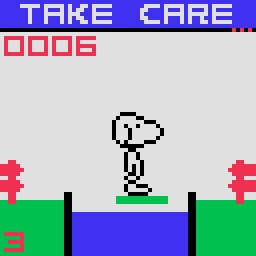 This is a simple platform action game, based on a old Commodore 64 game, here using with Fairchild F Palette colors in of course true 64x64 pixels limit. 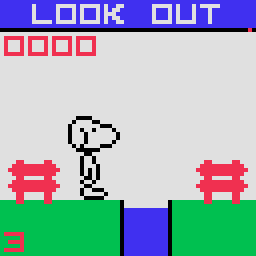 So its a very old school platformer, created in glbasic (http://www.glbasic.com) in few days.